← The Sports Archives – The Origin of Football (Soccer)! The Sports Archives – An Absolute Beginner’s Guide to Skiing! Downhill skiing is a sport that provides people of nearly all ages a great source of pleasure and excitement. 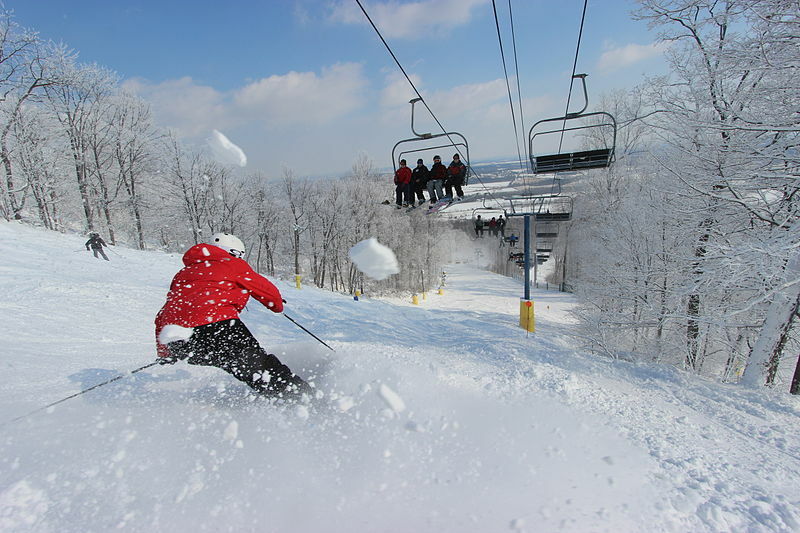 For many, there is something special about downhill skiing. For those who would like to learn how to ski, here is a brief guide that will highlight various necessities in skiing downhill. Having the right ski gear and clothing will make hitting the slopes much easier. Purchasing skis is a great way to go since it can easily be maintained, and the material does not have the wear and tear that can prevent a skier from having a terrific experience out of the slopes. A boot must have a snug fit, but not a tight fit. After all, the boots are designed to absorb a lot of pressure, as an individual is making various twists and turns. Brackets attach the boots to the skis. A ski store can do this type of work. Ski poles are next. Make sure the handle of the pole comes up a few inches above the elbow. One of the challenges concerning ski gear is transporting it to a ski resort, mountain or slope. A great way to overcome this problem is to ship skis to the destination. There are many companies that specializes in this type of work. Once the gear has been chosen, it is time to carefully consider what apparel to have when on the slopes. A warm hat is one of the first items that needs to be addressed. Look for a hat that is designed to keep a head warm, but can keep it cool when an individual is sweating profusely. In addition to this, consider the type of gloves that will be worn. Gloves need to keep the hands warm, and this is especially vital to have when temperatures can dip below zero. Although some overlook eye gear, this can be very important. Eye gear, which some refer to as goggles, allows a skier to be able to identify small and large changes in the hill that may not be easy to see by the naked eye. Eye gear is especially beneficial when it is snowing or windy. A ski jacket is very important. Look for one that is waterproof and is made to endure cold temperatures. Ski pants are always appropriate, but not vital on the slopes. Many Internet stores feature apparel and gear useful for this type of activity. Downhill skiing boils down to weight distribution on a pair of skis. A great way to begin is to practice exerting pressure in the legs. Try leaning on the left side of the body, with a lot of force being put on the left leg. Do the same thing on the right side and right leg. After doing this a few times, try leaning forward while leaning on one side and then the other. These simple exercises are strange, but it gives a beginner a better idea of what physical skiing will be like on the slopes. A ski instructor can be an excellent teacher in learning how to downhill ski. If that is not preferable, be sure to visit a bunny hill. Next, go to the top of the hill and make a V-ship with the skis. Slowly exert pressure on one ski more than the other one. As this is done, an individual will move to the right or the left. If this is too difficult, try zigzagging slowly down the hill. To get from one side to another, simply exert more pressure on the leg that is closer to ground level. This process can take time, but progress is being made that is obvious to the skier. Once this has been accomplished, do it again. Downhill skiing requires patience and humility. Everybody falls at one point or another, but beginners will fall frequently. When a fall occurs, get up and keep working. It is important to note that people of all ages are learning how to ski each year. The skiing process does take time, but the practice and effort is worth it as an individual gets a little better with each trip down the slopes. How To Take Your Skiing To The Next Level! Skiing in Summer – Top Ski Resorts With Year Round Snow! This entry was posted in Other and tagged beginner slope, beginning skiing tips, downhill skiing, excercises for skiing, how to ski, ski apparel, ski equipment, ski gear, ski instruction, skiing, skiing blogs, Sports Archives, Sports Blogs, winter sports. Bookmark the permalink. 1 Response to The Sports Archives – An Absolute Beginner’s Guide to Skiing!